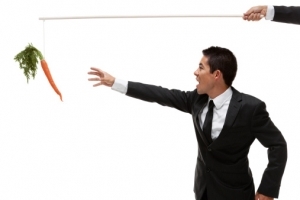 Incentive compensation works much like the proverbial carrot dangled in front of a horse. The lure of a future reward to employees encourages and propels momentum at the company level. But what happens when the carrot is dangled a little too closely? Megan Richards, financial analyst with Mercer Capital, explores this topic. To read the full article in Mercer Capital’s Financial Reporting Blog, click: Cashing In by Checking Out.